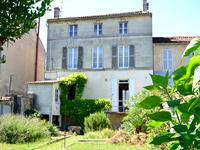 Located a few yards from the Marché and Jardin Publique, this charming and authentic home . . .
A bright and spacious apartment, located on the second floor. Plumbing and electricity are . . . Recently renovated with underfloor heating on the ground floor, new electrics and plumbing, . . . 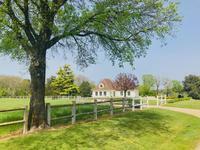 Very well located in the centre of Cognac, in a quiet, residential, area, with . . . This boutique hotel has been built inside a traditional 17th century building and, in parts, . . . Edge of village, stunning Maison de Maitre, beautiful volumes, south facing family home. 5 km Cognac. This stunning property built in 1773 would have, originally, housed the “gentleman farmer” of . . . 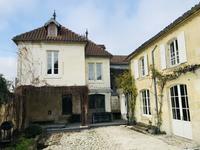 In the centre of Cognac, beautiful building of 500m ² located near shops, and all . . .
Old brewery loto pmu bar, very well located in front of the post office in Cognac, with . . .
Detached, bungalow, edge of village with commerce, in superb order 4 bed plus study. Extremely well presented bungalow with garage, outbuildings and lots of room for a . . . Spacious Cognac Townhouse – 3 bedrooms, 2 bathrooms. Close to town and local commerce. Garden with river access. Set in a quiet street just 10 minutes stroll to the centre of beautiful Cognac, famous for . . . This town house of 263 m ² very pleasant and ideally located just a few minutes from the . . . 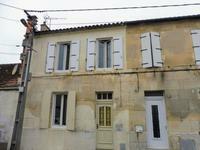 Character town house, built in 1866, with generous garden, 3 bed, 2 bath, pool, St Jacques, (old Cognac). Built in the traditional sand stone of the region this large townhouse is just a few minutes . . . Superb detached 3 bed village house fully renovated with an in-ground pool, attached barn and open views between Cognac, Archiac and Pons! This charming well maintained house, garden and pool area is situated in a quiet road on the . . .